Keeping our customers warm since 2005, Climate Makers feel a sense of duty to ensure the comfort of our customers and protect them from the winter weather in their homes. Climate Makers’ A/C tech’s have over 15 years experience in the business and are trusted to help in assisting you to make the best decision’s on your cooling needs. Give us a call to schedule an appointment for one of our technicians to come out and evaluate your system and give you a snapshot of how well your system is performing. 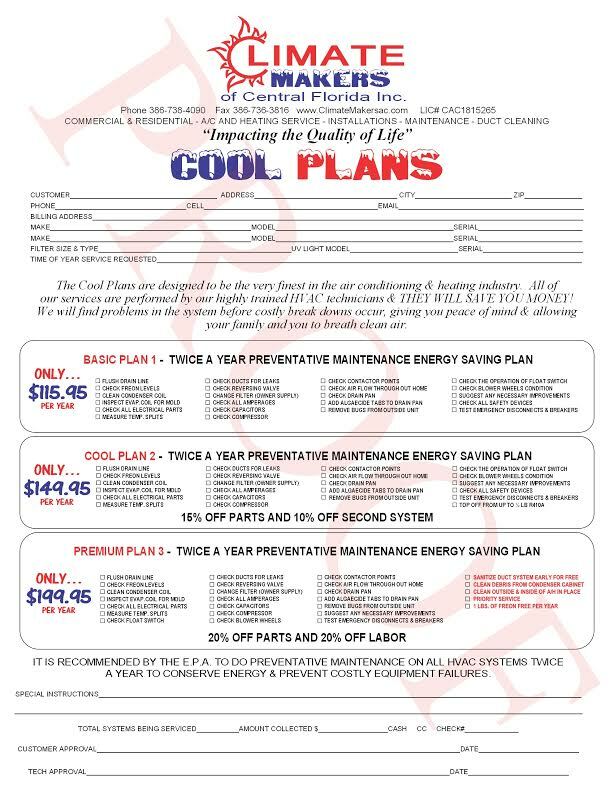 Save on keeping your system in good health by purchasing a Bi-annual service agreement at the reduced price of $115 and get other savings on repairs and labor. We at Climate Makers have worked with all major brands so rest assured that we have the knowledge to service and repair even the toughest units. Sales: we offer a variety of the best HVAC products on the market, with warranties that guarantee quality, and protects your investment. Service: To ensure the life of the equipment by keeping it up and well tuned, and notifying you, the owner of any problems that may be occurring so that you can take care of them in a timely manner. Repairs: Having A/C or Heating problems? We have experienced tech’s that know how to handle the situation and get you back up and running in no time. Duct Repair: To keep your air moving freely through your home and making sure there are no leaks so you keep all parts of your home equally cool or warm like its supposed to be. Service Agreements: For the upkeep of your systems at a reduced price than if you were to purchase one service call at a time.